Acupuncture Kids: How Can Acupuncture Help Kids in Montpelier and Williston, VT? “You treat children?” I’m often asked this question by patients and others thinking about trying acupuncture. They are surprised that yes indeed acupuncture is used on children, in fact about 150,000 children in the US experienced acupuncture in 2007, according to the most recent large study of use of acupuncture. (1) “But doesn’t it hurt them?” This is often the next question. In my experience, treating children from newborns to young adulthood, the experience is not painful. The children are interested, they ask questions, and they tell all of their friends about it. Results of a recent study revealed the 67% of patients and 60% of parents describe acupuncture kids experiences as positive or pleasant. 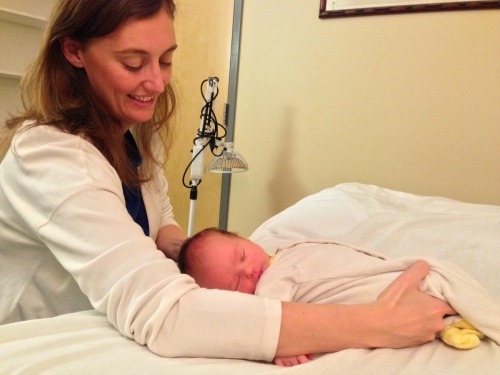 My practice is focused on fertility and pregnancy issues, so I often continue care by seeing my patients’ newborns. Another part of my practice is pain management. It’s through educating my adult patients about how I may be able to help their children for their pain like sport injuries that I see older children since 70 % of patients and 59% of parents reported the treatment was helpful in alleviating pain (2). I’ve listed here the most common conditions I treat for kids. Running nose, headaches, post-nasal drip. How can we expect even the most dedicated young students to focus in school during seasonal allergies? Acupuncture works to open the nasal passages and reduce hayfever symptoms. A recent study of 72 children received acupuncture over 8 weeks. During the following 3 months these children reported a reduction in rhinitis and more symptom free days then the control group having not received acupuncture. Last spring I treated (3) Food allergies may also be positively effected with acupuncture. Digestive issues of all kinds, from constipation to diarrhea, can be relieved with acupuncture and herbs. During puberty is often when I meet my adult patient’s daughters for the first time, as they are looking for an alternative for painful periods. Acupuncture can be a wonderful solution and has been used to regulate the menses and reduce cramping for thousands of years. Often western medicine’s solution to irregular and painful menses is oral contraception. With side effects of headaches, acne, weight gain, breast tenderness and serious long-term possible effects of blood clots, breast and liver cancers, strokes and heart attacks, surely we can look at natural alternatives for our young daughters. (4) By moving the energy, or qi, in the body, young women often respond quickly and positively to acupuncture. Pain is the number one reason adults try acupuncture, why should it be any different for young people? Well-documented studies have proven over and over the effects of acupuncture in reduction of pain. Most studies translate this effect to the release of endorphins, the body’s natural painkiller, along with an increase in blood circulation and reduction in muscle tension. In a recent study, almost half the participants experienced a 50% reduction in current pain ratings after acupuncture. There was also a significant increase in functioning according to both child and parents’ reports, and a reduction in pain during physical activity and activities with friends. (5) Over 140 hospitals in the US are using acupuncture for children. Common conditions treated include cancer pain, fibromyalgia, headaches, migraines, neuropathic pain, muscle pain and rheumatologic conditions. I asked myself during my own children’s teething pain, “why can’t we just be born with teeth already grown?” The experience of watching our little ones in pain is intense. We’ll try anything from teething necklaces, homeopathic remedies, even whiskey to help them, but how about a gentle insertion of an acupuncture needle? Small, pediatric needles can be quickly inserted and removed along the stomach meridian to expel heat, which is inflammation and pain in the gums. I’ve watched children go from red faced and screaming to calm and relaxed by utilizing acupuncture for teething pain. When a physician friend of mine came desperate for help for her two year old for an ear infection, I knew acupuncture was the last resort. This small child had incurred numerous ear infections and rounds of antibiotics and the ENT doctors had suggested surgery. Using acupuncture and moxibustion, a technique using a burning herb (mugwort) to warm the ear, two treatments were able to drain the dampness and fluids from his ears and allow the surgeons to withdraw their surgical recommendation. Now the happy, two-year old, comes to our office at first signs of an infection for the “warming stick” which he says “tickles a bit”. 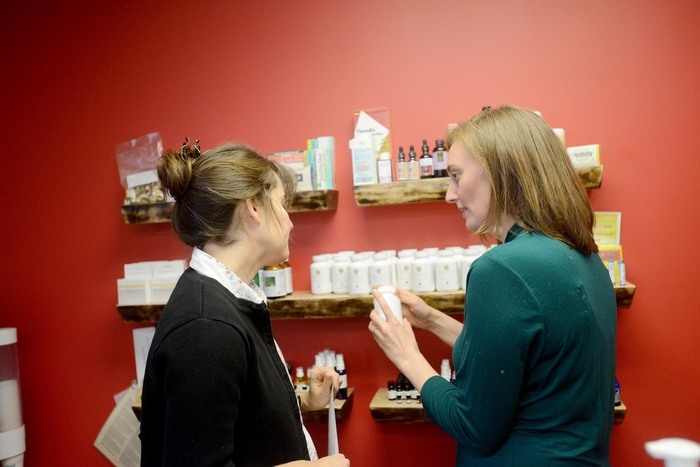 This is a short list of the conditions I currently see in my practice in Montpelier and Williston, Vermont and by no means a complete list of pediatric conditions acupuncture can treat. ADD/ADHD, autism, cystic fibrosis, and asthma are another few conditions currently being studied for pediatrics. Consult a licensed acupuncturist in your area to have your young loved ones treated with natural medicine.